Currently ActiveJDBC does not support a feature called Single Table Inheritance. However it does support just inheritance. While there are total of 7 classes, only those classes that have green background are associated with tables. 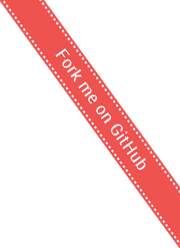 At the same time, common functionality can be inherited from one class to another. Abstract classes are marked with (A). 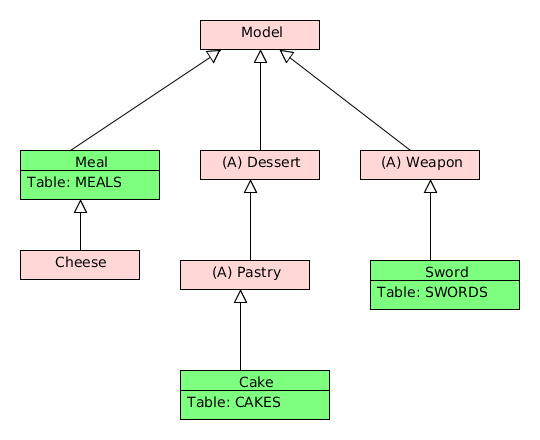 In this diagram there are only three tables: MEALS, CAKES and SWORDS. This means that models that are not green are not backed by a table and therefore cannot be used directly. All functionality declared in models Dessert and Pastry can be used in a model Cake. Same goes for Weapon and Sword. However, Cheese, although can exist in code, is a dud.